Since the dawn of democracy, politicians have been the one occupational class which beats actors at acting. In ancient Athens, the principal assembly of the citizens was held in the largest theater of the city, establishing for all times the inseparable link between drama and politics. 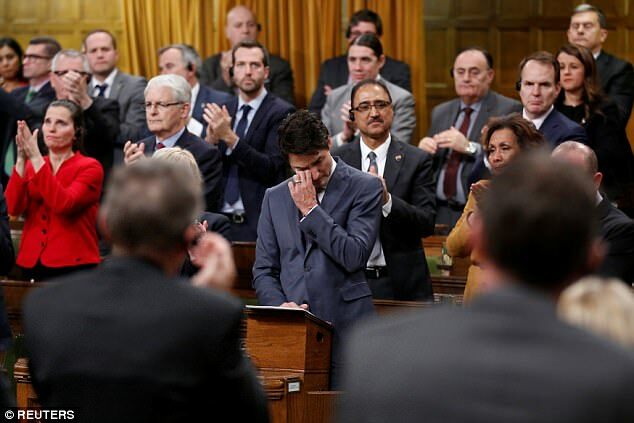 Last week, former Canadian drama teacher and current Whine Minister Justine Trudeau picked up this tradition in the parliament over the supposed "oppression of the lesbian, gay, bisexual, transgender, queer, and two-spirit communities," whatever the last term means. True to form the WM was moved by her own words and began to shed a tear. With the handkerchief ready to hand Justine was evidently in her element. Breitbart records that she "has previously cried during public appearances on numerous occasions," including for the children of residential schools, at a reunion with a "Syrian refugee" and the funeral for the victims of the Quebec mosque attack. A would-be actress seems to have found the role of her life. Given the endless list of grievance groups the left brings into position against the White heterosexual male oppressor class, this soap opera will surely be continued during the remainder of her term. Self-manipulated emotions have of course belonged to the job profile of politicians long before Justine discovered method acting. But only five or ten years ago, such a perpetual display of tears would have profoundly disqualified any politician from holding an office in the eyes of the normal voter. It would have been a killer criteria. Not anymore. Today the public appears to be comfortable with the ultimate authority lying in the hands of the Crybaby-in-Chief. It even seems to crave for more expressions of "emotion." And the politicians readily deliver. Over in Europe, emo-politics have lately become an integral part of the failure of the political class to combat insurgent Islam. Unable to chase away the Muslim spirits that their policy of mass immigration has cited, senior politicians have resorted to the new wonder weapon of crying on live TV for its indigenous victims. Instead of securing the borders, hunting down the infiltrators and deporting the millions of sympathizers to their countries of origin, they believe that moral signalling is enough to substitute for hard decision making. Their delusional motto: 'I saw, I cried, I did nothing.' Repeat at next attack. I saw, I cried, I did nothing. There are powers in the world which want a different mode of action based on the construction of walls instead of partnerships. Let me be totally clear from the very beginning: Europe does not and will not close its doors. I cried, so it's not my fault. Another (mental) case is Sweden's Prime Loser Stefan Löfven who self-identifies as a male against his better judgment. 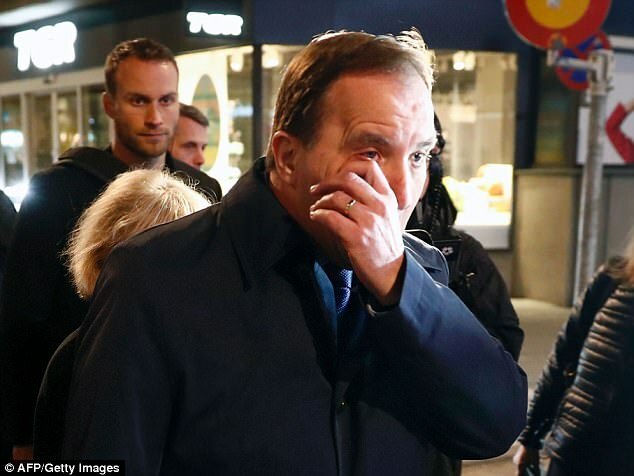 Not content with Sweden already being the sick man of Europe, Löfven took in more migrants per capita than any other European country during the 2015 immivasion, outdoing even Merkel Germany on the open-ended virtue signalling scale. But when an Usbek asylum seeker drove a car into pedestrians in Stockholm downtown this April, killing four adults and 11-year old schoolgirl Ebba Åkerlund, Löfven could not think of any better counterterror measure than to lay down a bouquet of flowers at the site of the attack and wipe the tears from his eyes. 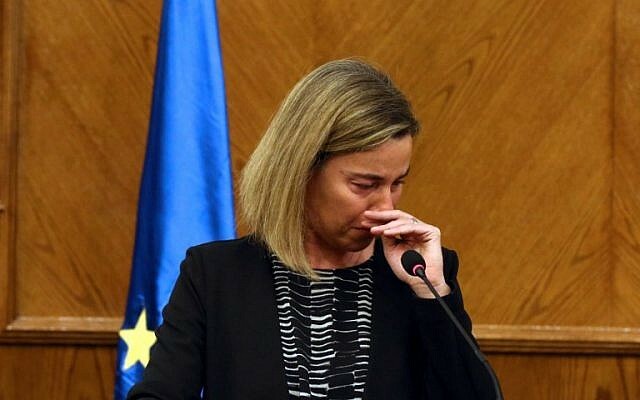 Athen's demagogues would have bowed their heads in respect of Löfven's acting skills. Feign empathy in a surprising, disarming manner and you will be absolved of the absolutely predictable consequences of your own policies. Back in late 2015, his deputy Åsa Romson, Green Minister for the Environment, had already set the whiny tone when she sobbingly announced a halt to the mass intake of the — mostly fake — refugees. Her stunning explanation for pulling the emergency brake: "the perception of reality" (0'06''). The government had finally come to realize that Sweden could not take in the estimated eight million economic migrants who desire to permanently migrate to it, much less the sixty million real refugees worldwide. Who would have thought THAT? Apparently, Romson and the other cabinet members had googled their country in the meantime, noticing that it contained barely ten million people on an area of 450,000 km2 half of which stretches across the inhospitable subarctic climate zone. Romson's dismayed reaction demonstrated how grotesquely out of touch the current elite is. That Sweden's material and moral resources turned out to be limited seemed like an offense to their globalist aspirations. Imposing their totalitarian virtuous thinking on their own people, they put the throttle down to the metal until the country hit the wall of reality. Carrying capacity? Cultural compatibility? National interests? No arguments for Green open border ideologues. Is it a coincidence that Canada, Sweden and the EU, three of the most cucked 'post-nations,' are so committed to I‑am‑so‑sorry‑politics? Presumably not. Politicians do not act in a vacuum. Their behaviour ultimately reflects the moral state of society they want to preside over. Emphatoid politicians like Mogherini, Löfven and Romson are an expression of the wussification of Western politics and society at large. This weepiness was not always so. 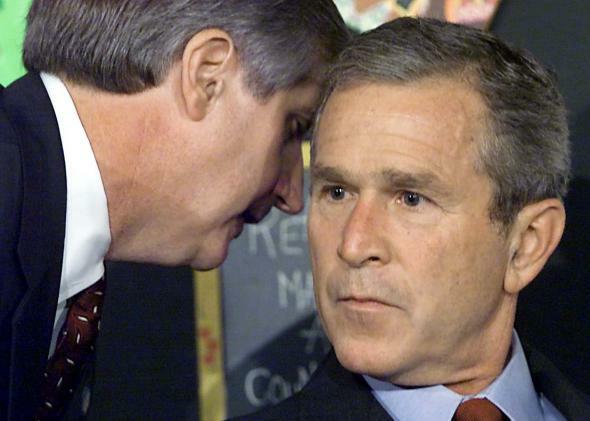 For all his faults could you image President George W. Bush sobbing while addressing the nation in the wake of the September 11 attacks? Did he break out in tears in that school when he received live on TV the news of the second WTC tower being hit and thus confirmation of the largest terror attack in history going on right at the moment? No, he kept his cool and played his part, giving America's enemies at least not the satisfaction of seeing it shaken and confused. Since the onset of the second Muslim terror wave, however, European leaders and leftists sense that they are running out of responses to the persistent threat. 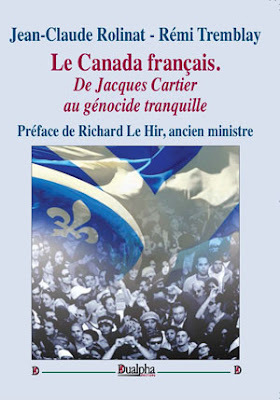 Far from admitting that the menace is the direct product of their own migrationist and multiculturalist beliefs, they cover up their inability to act by deplorable substitutive acts on social media, overlaying the colours of the <insert country> flag on their profile pictures or posting infinite loops of "pray for <insert latest Muslim terror target>" images. Unable to cope with the reality they created they cling to their exorcist rituals with stubborn defiance, not unlike the sorcerer's apprentice who desperately repeats the spell that has lost its power. In this infantile atmosphere politicians feel safe to weep into the camera to score cheap political points or deflect from their personal responsibility. This is not to say that public displays of sadness should always be treated as manipulative, emo-political acts. For instance, the silent, dignified manner how late chancellor Helmut Kohl mourned at the ceremony in Notre Dame for his political rival and partner, French president Mitterrand, struck me as genuine. But that was another generation of politicians, one which was already cucked but also authentic because it had endured many hardships itself. For the current crop of pampered post-boomers though, their transparent tactics can go only so far. Unless they are going to take up flagellation, crying leaders already mark peak emo. They can buy some time with a public which has become susceptible to confuse virtue signalling with personal integrity. But eventually the silent majority will see Islamigration for the treason that it is and get tired of the endless pandering to self-designated victim groups at their own expense. This is when the people will demand real action instead of bad acting.